Virus-specific antibodies play a key role in providing a protective barrier to infection and in facilitating viral clearance once an infection is established. Antibody-producing cells or plasma cells are generated from B cells that divide and differentiate following recognition of specific antigen. A critical requirement for optimal antibody responses is the cognate help delivered to activated B cells by CD4 T cells. This help is important for directing antibody isotype switching in B cells, the process by which B cells switch from expressing IgM to expressing alternative isotypes (such as IgG1, IgG2a, and IgA in the mouse) with different functional characteristics. In addition, cognate T cell help is critical if activated B cells are to participate in germinal center reactions, where affinity maturation of the antibody response takes place and the cellular elements of B cell memory are generated. These elements include long-lived plasma cells, which maintain high levels of protective antibodies, and a population of memory B cells that will respond with rapid antibody production on re-exposure to cognate antigen. This brief overview grossly simplifies a remarkable and complex process that is regulated at many levels in ways that modulate the kinetics, magnitude, and quality of the acute B cell response, as well as characteristics of dispersed plasma cell and memory B cell populations. In general terms, our research is aimed at understanding the characteristics of optimally effective B cell responses and applying this knowledge towards the improvement of vaccination regimens. Our specific research focus is the B cell response to viruses that infect the respiratory tract (with an emphasis on influenza virus) and to vaccination regimens designed to generate B cell-mediated protection against these viruses. 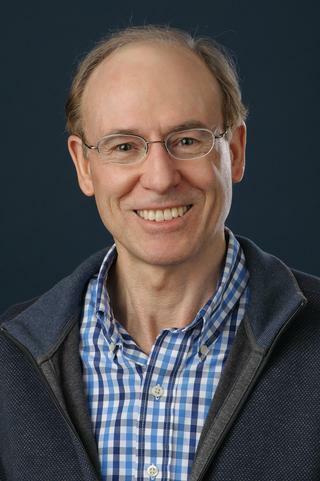 Particular research interests include: (i) regulation of the acute B cell response to infection and vaccination and the differentiation pathways that generate B cell memory and virus-neutralizing antibodies, (ii) aspects of B cell memory (plasma cells, memory B cells) in the respiratory tract, including mechanisms of localization, role in protection, and relationship to form of immunization, and (iii) regulation of IgA production and the establishment of antibody-mediated protection at mucosal surfaces. "Broad hemagglutinin-specific memory B cell expansion by seasonal influenza virus infection reflects early-life imprinting and adaptation to the infecting virus." Journal of virology.. 2019 Feb 6; Epub 2019 Feb 06. Topham DJ, Nguyen P, Sangster MY. "Pandemic influenza vaccines: what they have taught us about B cell immunology." Current opinion in immunology.. 2018 Aug 0; 53:203-208. Epub 2018 Jun 26. Wang J, Hilchey SP, DeDiego M, Perry S, Hyrien O, Nogales A, Garigen J, Amanat F, Huertas N, Krammer F, Martinez-Sobrido L, Topham DJ, Treanor JJ, Sangster MY, Zand MS. "Broad cross-reactive IgG responses elicited by adjuvanted vaccination with recombinant influenza hemagglutinin (rHA) in ferrets and mice." PloS one.. 2018 13(4):e0193680. Epub 2018 Apr 11.